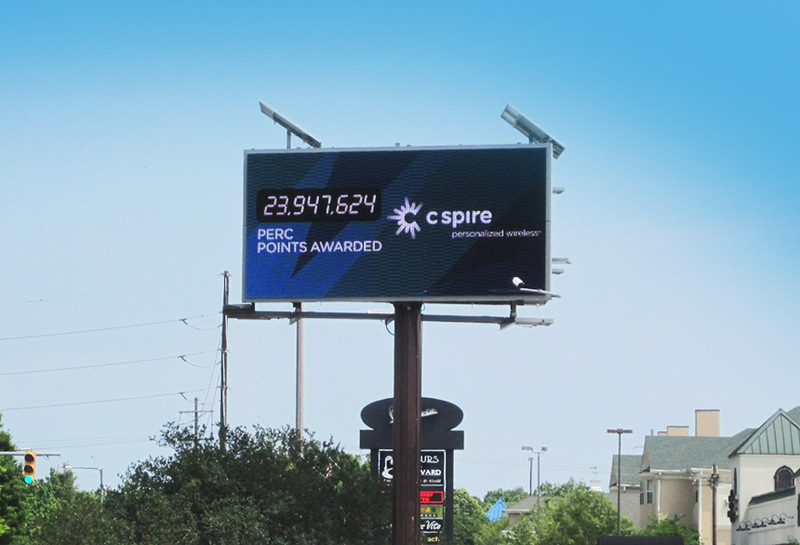 C Spire wireless used Lamar Digital billboard capabilities to launch their new PERC point campaign. The billboard featured a constantly updating point’s tracker. As C Spire awarded points, the number on the digital billboard would increase. Passersby could see how customers were constantly awarded points and became interested in the C Spire wireless service.